The Security Council recommended to the General Assembly that the Republic of Azerbaijan be admitted to United Nations membership. The Council took that action by adopting, without a vote, resolution 742 (1992). 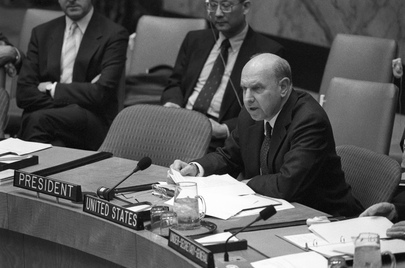 Ambassador Thomas R. Pickering (United States), President of the Security Council, addresses members of the Council.